OMD, the Center for Biological Diversity, and supporters team up to ask Applebee’s to offer plant-based entrées on menus across the country. Have you heard the news? 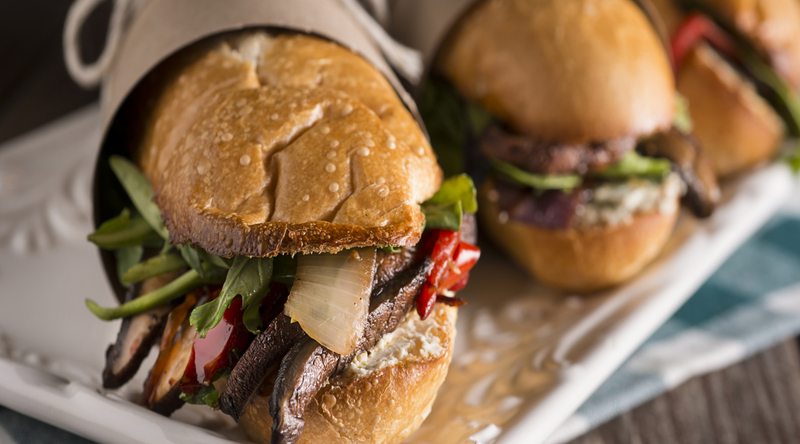 In the past month, huge, national fast food chains including Carl’s Jr. and Taco Bell announced they would be offering plant-based menu options across the country. Watch Beyond Famous Star® with Cheese from Carl's Jr.
People are eating out more than cooking at home for the first time in history. At the same time, a growing number of people are going plant-based (a recent consumer data report says 22% of people are eating less meat, poultry and seafood). So why hasn’t Applebee’s taken notice? With more than 1,900 restaurants nationwide, Applebee’s is the largest U.S. restaurant chain that doesn’t offer a plant-based entrée option at all its locations, despite competitors like Chili’s, Red Robin, and TGI Fridays all providing vegan and vegetarian options. So while competitors have been responsive to changing times, Applebee’s has fallen behind the curve. That’s why last September, OMD and the Center for Biological Diversity launched a campaign that earned an initial thousands of signatures encouraging Applebee’s to offer plant-based entrées at every location. Thousands of people signed a petition in September and later again in December, which was presented to Applebee’s CEO Steve Joyce. 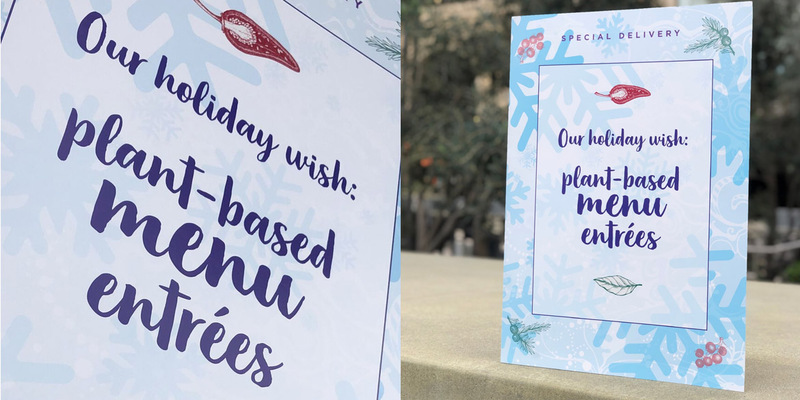 Presented in the form of a holiday card, the petition asked Joyce to create lasting change for the holidays by offering plant-based entrée options. As a next step, we kicked off 2019 with a National Call-In Day, once again asking Applebee’s to add plant-based options to all its menus this year— for its bottom line, for community health, and to take a bite out of climate change. Not only is animal agriculture the number one cause of mass extinction, but we also all deserve access to fresh, healthy, affordable food. With so many restaurants, Applebee’s could make a big impact. Kicking off on January 17th, hundreds of supporters flooded phone lines at Applebee’s corporate offices all week long, to ensure Applebee’s heard our concerns. It’s not too late to make your call in case you missed out on the action. Last year, after we launched our petition, decision-makers at Dine Brands, Applebee’s parent company, said they were receptive to a new corporate policy that would mandate a healthy, plant-based entrée at Applebee’s and IHOP restaurants worldwide. But they also said they needed to hear from people like you to confirm there’s demand for these options. Together, can help bring about change at Applebee’s, and get more nourishing, heart-healthy, and sustainable options on menus across the country. Join the movement, and don’t miss out on the next day of action! Fired up? 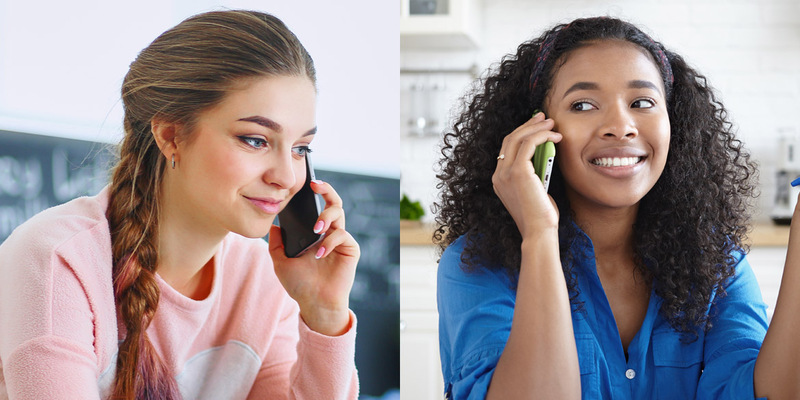 Spread the word for our National Call-In Day on social media!